The Rob Reason Jazz Group usually consist of Guitarist Rob Reason, Vocalist Dyra Wolf, Bass, Drums, Keys & Sax. This is a full unit, however and smaller units are always available. 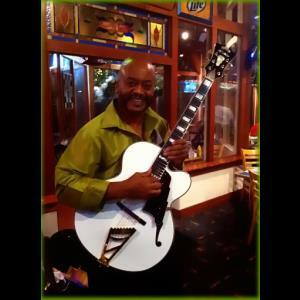 The music covers many genres, Standard Jazz, Smooth Jazz, Blues, Gospel, Motown, & R&B. All musicians are prompt, well attired, professional and great musicians. So wether you are having a large event, requiring a full group, or a small event requiring just a small trio, solo guitar or a guitar/vocal duo; we can and will accommodate you. Rob Reason is a recording artist who has been in the music business for more then forty years, and is know for working hard to keep all his clients satisfied. He has studied locally, at the Peabody Conservatory, and in New York with Jazz Great Mark Whitfield. 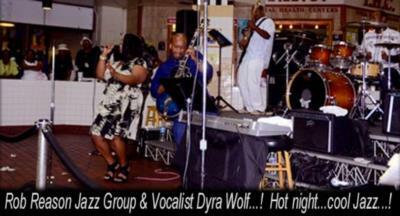 So contact the Rob Reason Jazz Group, and let us make your event special...! You absolutely will be satisfied...! Everyone in my company was floored, we LOVED them!! Showed up early, looked great and sounded even better. They brought soul and life to the event and took requests and killed it, I couldn't recommend them more. Two thumbs way way up. Hi Bhavna...! Thanks so much for your kind response. It was a great honor and privilege to work with and perform you and all of your fantastic crew! You all are fantastic....! Catch you soon... Rob, And the Rob Reason Jazz Group...! Professional and amazing group. Our entire community asked for them to return the next day. They absolutely loves this band and I loved working with them as well. Will be our only band of choice when hosting events at our properties. 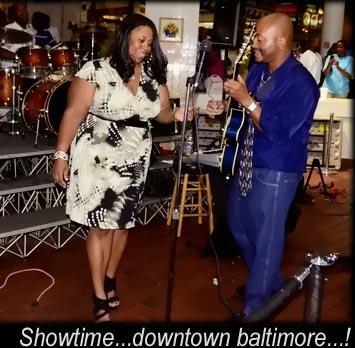 Please note Rob Reason Jazz Group will also travel to Baltimore, Randallstown, Ellicott City, Garrison, Owings Mills, Woodstock, Brooklandville, Stevenson, Elkridge, Towson, Columbia, Linthicum Heights, Lutherville Timonium, Marriottsville, Reisterstown, Riderwood, Hanover, Cockeysville Hunt Valley, Glen Burnie, West Friendship, Glyndon, Harmans, Jessup, Simpsonville, Clarksville, Savage, Severn, Sykesville, Annapolis Junction, Butler.